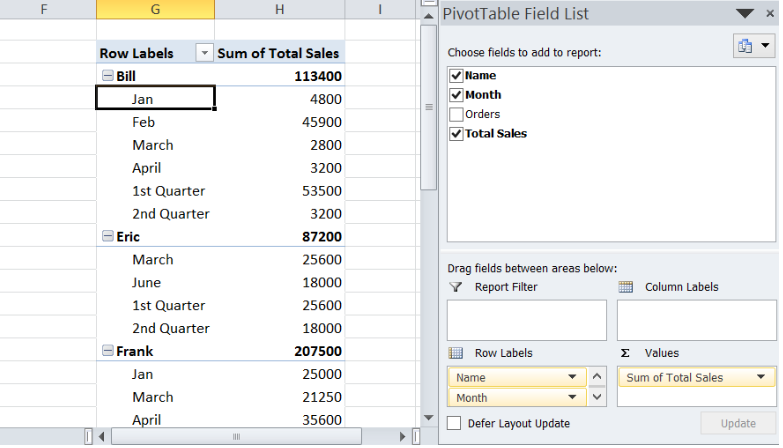 We sometimes need to customize our pivot tables and create calculated fields and items. 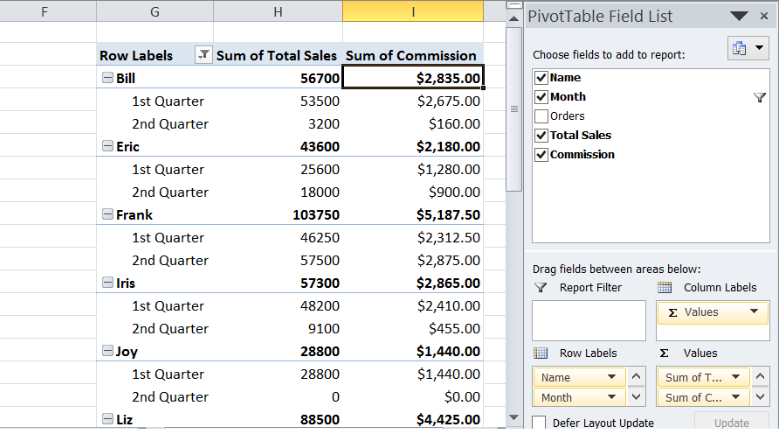 This step by step tutorial will assist all levels of Excel users in calculating pivot table data. 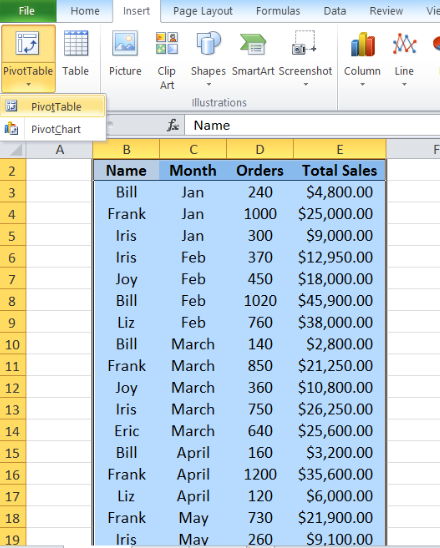 Our table consists of four columns: Name (column B), Month (column C), Orders (column D) and Sales (column E). 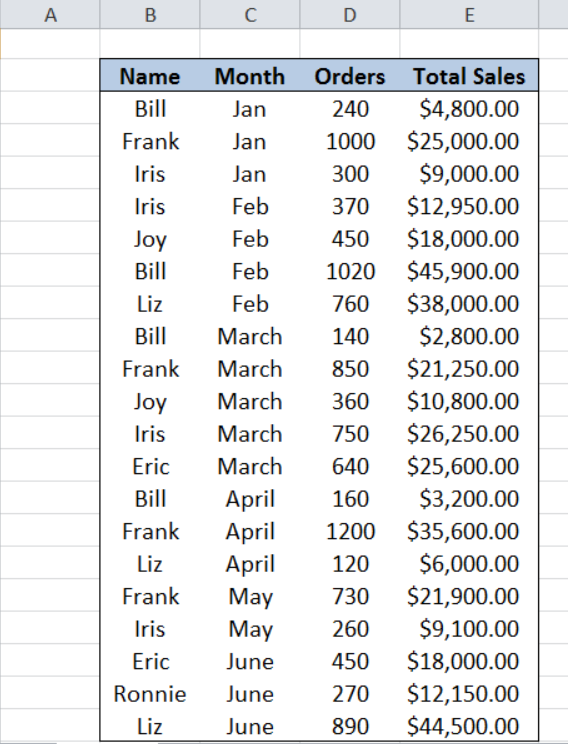 First, let us insert a pivot table using our data. Step 3. 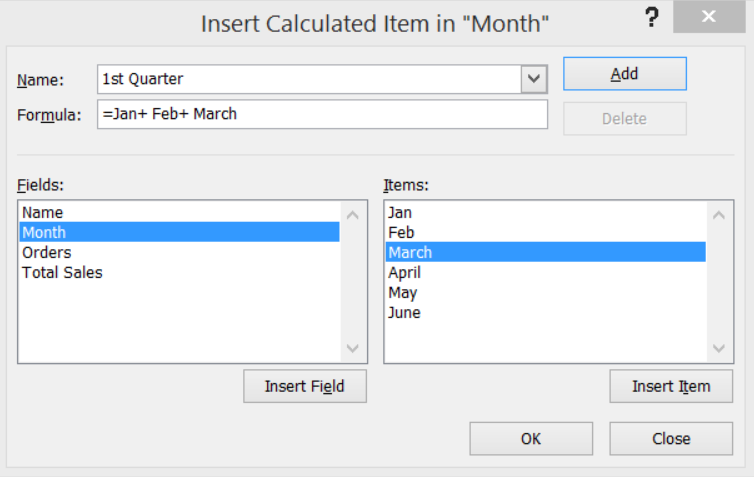 In the Create PivotTable dialog box, tick Existing Worksheet. Click the Location bar and then click cell G2. 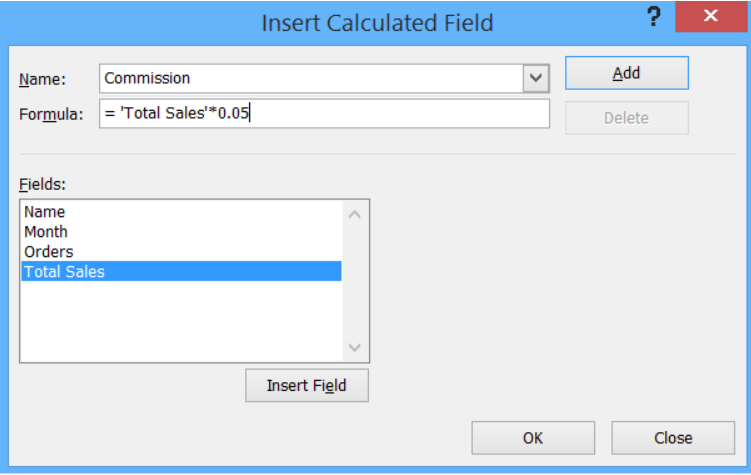 The main difference between calculated item and field is this: we use calculated item when we want to add a formula using data from specific items within a field; we use calculated field when we want to add a formula using data from another field. Step 5. Click Add, then OK. Step 6. 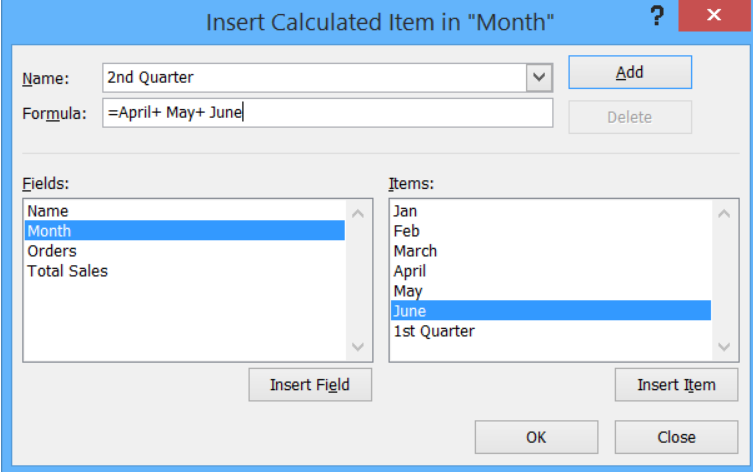 Repeat steps 1 to 5 but this time, enter “2nd Quarter” for the Name and =April+May+June for the Formula. We have created the two calculated items 1st Quarter and 2nd Quarter. Next we filter the data to show only the 1st and 2nd Quarter. Our formula for commission is 5% of the total sales. 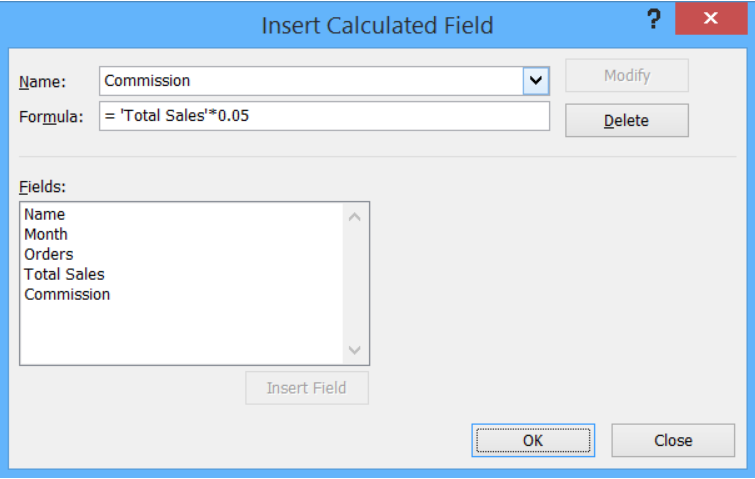 A new calculated field “Commission” has been added under “Total Sales”. Going back to our pivot table, a new field has been added, showing the sum of commission per person. 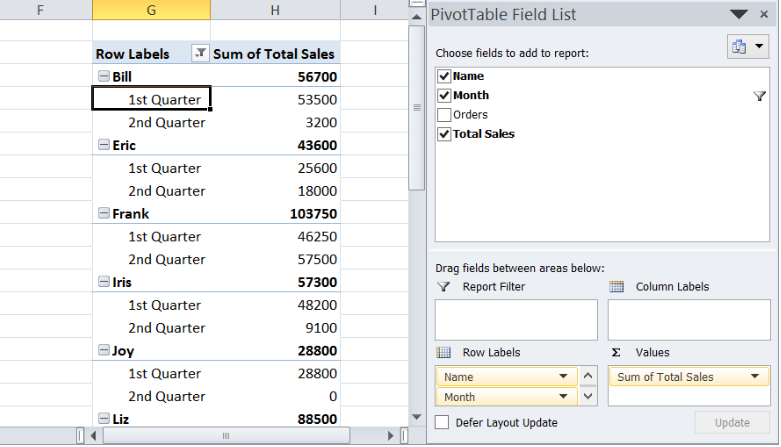 Finally, we have calculated pivot table data by adding both calculated items and calculated field.